District 21 – April 2012 – Lincoln Nebraska A.A.
12 Traditions read by: Brian C.
I don’t have a lot to report on since our last District 21 Business Meeting in March. I do plan on visiting the newly formed “Principles Before Personalities Group” on Friday, April 27th to introduce myself and welcome their group to our district. It was nice to get a “surprise” contribution check in the mail before i even had the chance to go visit their group. I also want to thank Linda S for calling Lincoln Parks and Rec about the availability of the VanDorn Park Shelter for our Dist 21 Unity Picnic we are planning! 2. Sufficient Substitute (Becky N.): Nothing new to report. It was decided to send fliers to treatment centers and half way houses in their area. 3. Women’s Circle of Friends (Vickie P ): Nothing new to report. 4. Young People’s (Miranda R.): Not present. 5. Cafeteria Group (Tom B. ): Not present. 6. 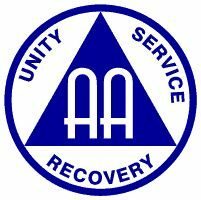 Spiritual Actions (Brian C.): Throwing Anniversary of AA June 10th at the Joyo in Havelock at 3:00PM. 7. Seeking Solutions (Nancy S. ): ( by John R. ) Going well, new layout works, steady attendance. 8. Steps we Take: (Chris C.) (by Michael F) “We’re great”. 1.) Group History Reports? These can be E-mailed to Jennifer. 2.) Corrections Power Point Presentation – Becky N. asked if the power point presentation was conference approved, Jennifer will check and let us know. ** I followed up with Charles A, the Corrections Committee Chairperson for Area 41 and he indicated the power point presentation itself is NOT conference approved, however, much of the content within the presentation IS Conference Approved. 3.) Unity Picnic – The consensus is to have the delegates report on the same day of the picnic if possible. Specifics were E-mailed to the groups. Linda S. with reserve the location as soon as we hear back from Kit. 4.) Delegate’s Report (if not part of Unity picnic)? See above as we are combining Delegate’s Report with Dist 21 Unity Picnic to be held on Sunday July 22nd with a backup date of July 29th. (1) Area 41 Secretary, Ray P, sent an email to let us know that the AREA 41 Proposed Handbook is on the area41.org website. Please go take a look and provide feedback (if any). (2) 2014 National Archives Workshop – (Becky N) – Please ask your groups if they would be interested and supportive of having the Area 41 Archives submit a bid to host the 2014 National Archives Convention. Any other New Business Items? none.